Mozilla may still be weeks away from automatically upgrading users of its aging Firefox 3.5 browser, but even without the benefit of those additional users its latest browser version continues to blast past Microsoft's competing Internet Explorer 9 in usage. In fact, early this month Firefox 4's usage began to show a sharp increase while IE9 continued on a much more gradual climb, Mozilla's Asa Dotzler pointed out on Sunday. "Since activating the Firefox Update system and alerting Firefox 3.5 and 3.6 users to the availability of Firefox 4, the line has really picked up some speed," Dotzler wrote in a blog post with an accompanying graph. "Internet Explorer 9's trajectory looks very similar to what we saw with IE8 and IE7 before it," he added. "Microsoft pushes new versions at an excruciatingly slow pace." According to the StatCounter data Dotzler based his analysis on, Firefox 4 accounted for close to 16 percent of the browser market on Monday, he said, while IE9 was approaching 5 percent. "IE9's steady progress should put it around 10 percent in a couple of months," he predicted. 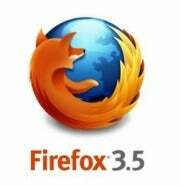 Mozilla recently announced that in June it will begin automatically upgrading users of its Firefox 3.5 browser to a newer version--preferably the latest one, but at the very least Firefox 3.6 instead. The move--which will be the first time it has undertaken such a step--could potentially bring an additional 12 million users into the Firefox 4 fold. Several weeks ago Mozilla released the last security patch for Firefox 3.5 as the release approaches its end of life. The software made its debut back in 2009. It will be interesting to see reactions to Mozilla's new automatic upgrade plan, not to mention the overall effect on Firefox 4 usage. In the meantime, there seems to be no end of good news about the winning open source browser, including the new IonMonkey just-in-time (JIT) compiler as well as speed improvements for those using Firefox on Linux. Firefox 4 also recently announced that it had surpassed 100 million downloads in its first month. Will Firefox 4 win this round of the browser wars? Only time will tell. As of today, though, things are looking pretty good.